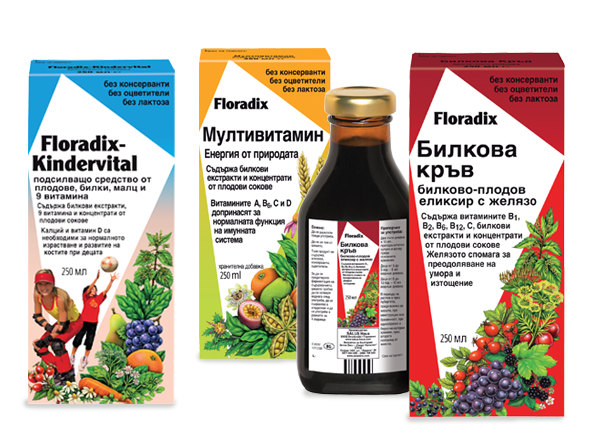 Vitality and regeneration for body and mind – Floradix tonics are beneficial compositions which taste good, protect our health and increase natural vitality. The healing power of many medicinal plants has been known for generations. Floradix has developed this knowledge further by bringing together specific medicinal herbs into their liquid preparations. Floradix tonics support and strengthen the organs and functions of the body as well as metabolic processes. Their ingredients are selected and tested for effectiveness and wholesomeness with utmost care. The recipes come from a hundred-year-old medicinal plant tradition, which skilfully combines many years of knowledge with current research.